In the summer months, our makeup doesn't tend to stay on our face as well as other months of the year, so we need a little helping hand when it comes to staying put all day long. I've put together some of my favourite eye products I've been using the past couple of months to keep those eyes looking fresh till dawn. An eyeshadow primer is vital in these summer months to keep your eyemakeup lasting all day. The lids of the eyes can get naturally oily, no matter what skin type you have, so to control these oils a primer must be used. I love MAC Paint Pot in the shade Painterly for my skin, however this is a very light shade so it won't suit all skin tones. There are primers specifically made for the eyes which are good such as the Urban Decay Primer Potion or Inglot Eye Primer amongst others but I find the Paint Pots work wonders with soaking up any excess oils. Concealers can be used also but I would avoid using them if you have very oily lids. If you know me at all, you know that eyebrows are, in my opinion, the most important part of your makeup. They lift the eyes, frame the face and really finish a look, if done right. I love using MAC Gel Eyeliner in the shade Dipdown to give my brows a defined, sharp look without being too much. I firstly define the arch and extend it into the tail. I then fill in the top of the brow, lifting it at the arch slightly to brighten the eye area. Using the excess on the brush I lightly fill in the outer half of the brow. Next, i use a spoolie brush to even out the colour and disperse some of that product into the inner part of the brow giving you a beautiful, natural ombré brow. 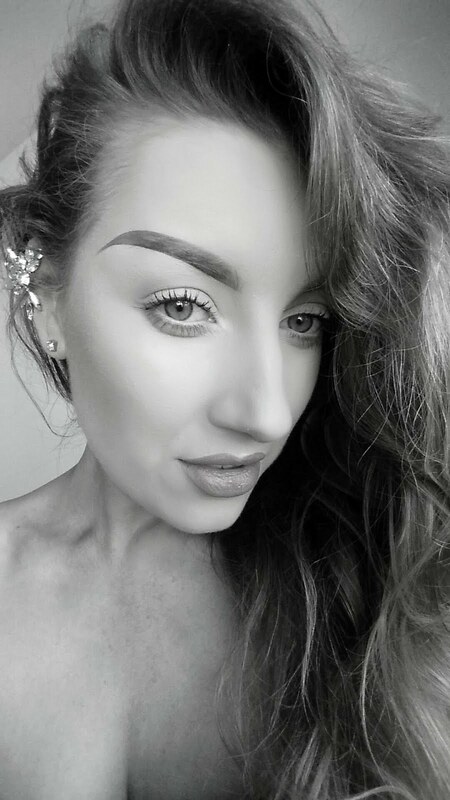 Using a gel liner through the brows in the heat is best as it is generally more water resistant than your average brow pencil or eyeshadow. This is perfect for if your out in the sun, in the pool on your holliers or just want your makeup to last that extra stretch. Lastly for the brows, I am addicted to Catrice Eyebrow Filler. Like a mascara for your brows, this product has a small amount of pigment in it so when brushed through the brow hairs it adds a bit of colour as well as a beautiful texture. It also helps the brow hairs to stay in place keeping them perfect and sharp all day long. These days I am loving a simple eye with a colour pop on the lip, but we all need a little bit of colour on those lids, just to keep it interesting. Under the brows I love using MAC Pigment in Pink Opal, a soft pearlescent shade that can be applied sheer or packed on for a more intense colour! 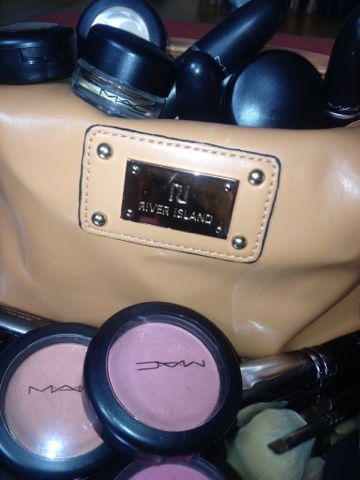 On the lid, to add an extra bit of glow and sparkle, I love the MAC Pressed Pigments. My favourite shade is Warming Heart, a perfect soft gold shade with an infusion of fine glitter. I bring this colour up to the crease of the eye with a dense synthetic brush to get the best colour payoff. A little bit of a matte brown, around two shades darker than your skin tone, into the crease with a fluffy brush works wonders. It will break up the sheen of your lid and highlight colour aswel as giving definition to the shape of your eye. Most days I like to wear my eyes quite bare, but if I'm looking to put in a little extra effort I love to add a classic 50's flick to give extra definition and to shspe the eyes. To do this, I use Inglot Gel Liner in the shade 77. This is by far my favourite eyeliner to use as it is jet black and it is 100% waterproof so it can be used on the lid or waterline and it will last all night long! This product has one downfall. It does tend to dry out quite quickly in the pot. When this happens I use a droplet of Inglot Duraline and mix it in with a small section of the liner to cream everything back up again. Good as new!! Duraline can also be used as a primer, to pack on pigment or glitters and to add moisture into dried out products such as gel liners, matte lipsticks, mascaras ect. 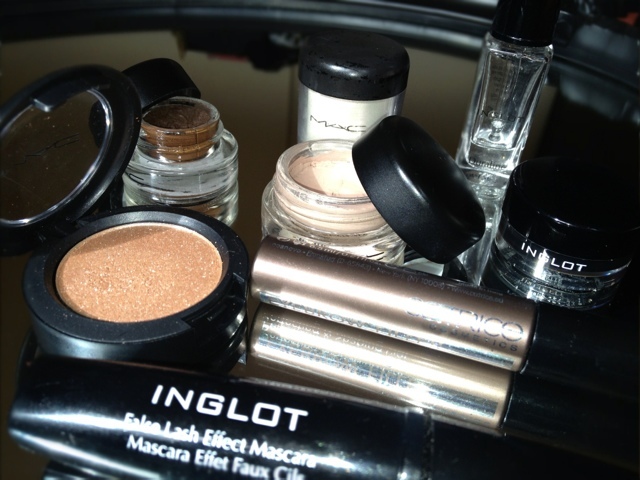 And last but not least is my all time favourite mascara, the Inglot False Lash Effect Mascara. The brush in this mascara is probably the best I've come across. I'm not a fan of Inglot mascaras in general, but this one really lengthens your lashes, adds volume and is jet black. I also found this mascara to last very well. I have gas mine around four months and it has only dried out now. Usually, I find myself changing mine every few weeks but this one lasts amazingly! !